Hotel Senigallia has a bright dining room and a veranda TV, both air-conditioned and covered by WI-FI available free of charge throughout the hotel. Continental Breakfast is served at the tables with. It includes a rich buffet of savoury items, pastry, cakes, homemade biscuits, fresh fruit salad, yoghurt and homemade jams. 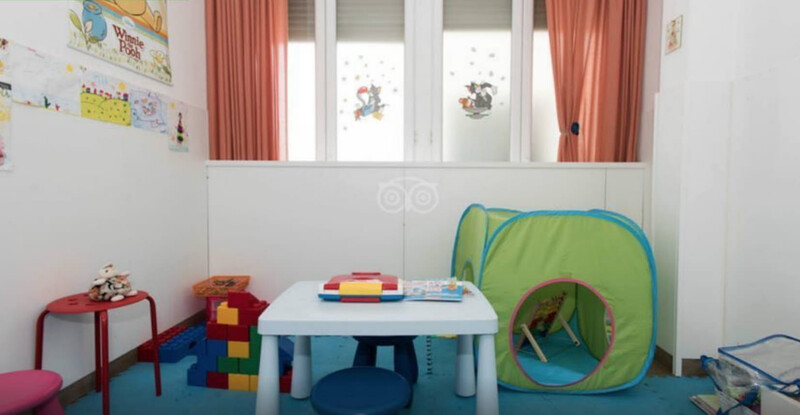 We have a small area for our “little” guests to play and color with mum and dad! Our Chef prepares personalized baby food for children, as well as a tasty snack after their afternoon nap. We periodically organize cheerful and fun juggling evenings with our clown! In addition, on request, we can provide baby bottle warmer. 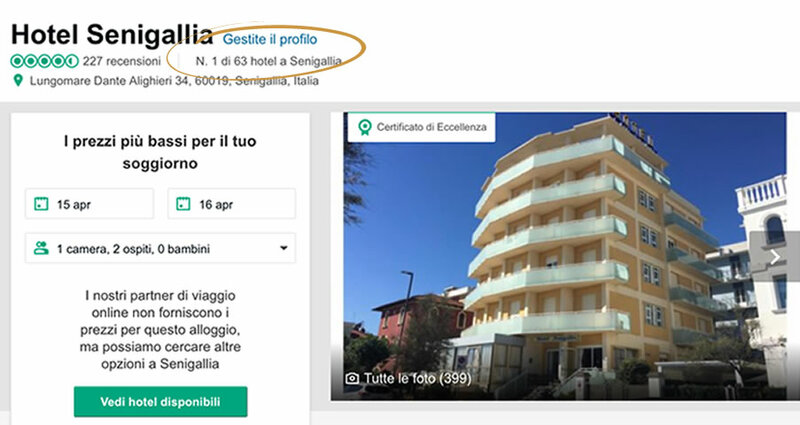 Hotel Senigallia is affiliated with the bathing establishment just opposite (Bagni 64 Apapala), reachable by simply crossing the street, where our customers are entitled to 15% discount on seasonal rates. The bathing establishments feature free WI-FI, dressing cabin and common toys deposit. Prices, already discounted, may vary from a minimum of 11,00 € to a maximum of 15,00 € per day for 1 beach umbrella and 2 sunbeds, depending on the period requested, on the position of the beach umbrella or on any other additional services. For further information or reservations contact Mr Marco (+39 340 6831204). The cuisine is undoubtedly one of the strengths of Hotel Senigallia. Our Chef Luca and his collaborators prepare national and typical Marche dishes using genuine and high-quality products. At the restaurant we propose a varied menu to meet all needs, with double choice of meat and fish every day, rich buffet of fresh vegetables, grilled, steamed, au gratin and sautéed with spices, and homemade cakes and ice cream served every evening. We also provide aperitifs, various appetizers and themed dinners, and our guests can always have fresh fruit available all day. ...eating well too is a part of a nice holiday! Beverages with meals, mineral water and local wine (Verdicchio and Rosso Piceno) are included in the full board rates. We also offer the possibility of non-guarded free parking and free use of our bikes for getting around the city on two wheels!